Gold birdcage veil with detachable gold bridal headband adorned with 2 big beautiful satin flowers with swarovski pearls, swarovski crystals and rhinestones. 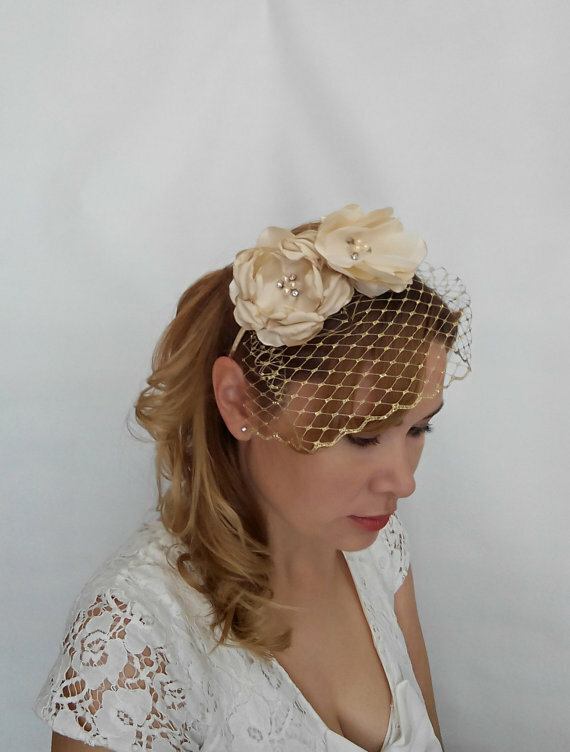 The bridal headband itself is covered with gold satin ribbon. ❀❀❀ Features: - handmade satin and chiffon flowers - swarovski pearls - swarovski crystals - rhinestone - metal gold birdcage veil ❀❀❀ Size: each flower measures approx.